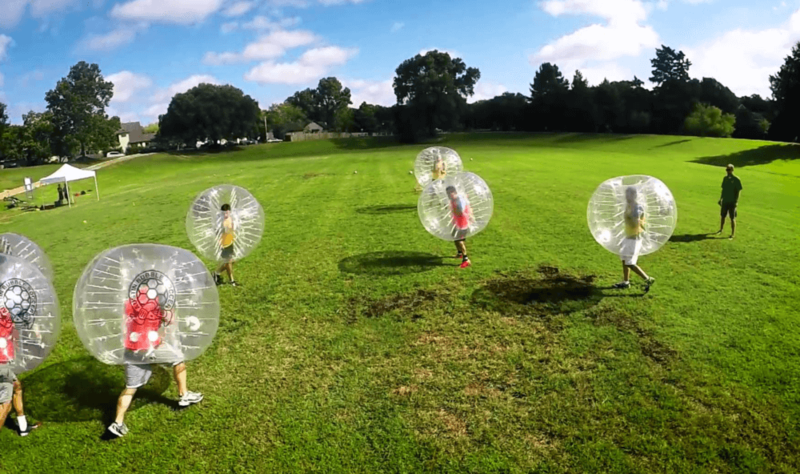 One of our most popular products are Body zorbs, the new buzz in the sporting arena is Inflatable Body zorbs which are regularly used for games of bubble football, participants slip into the bumper balls then play football but with a new dynamic of being to bounce off each other. This turns the non contact sport of football into a contact sport of Body zorb football. Our Branded Body zorbs or bumper balls are perfect for half time at football matches or for corporate team building exercises. Glows inflatables zorbs can have a logo printed direct onto the back or sides of the zorbs and can also be a semi transparent colour to match your branding.